Inda offers an extensive range of quality brass bathroom accessories with a combination of Italian design flair and value that cater for the basic luxury needs. This stylish Touch Mai Love Way Toilet Brush & Holder's functional and durable design will integrate well with other chosen bathroom products. 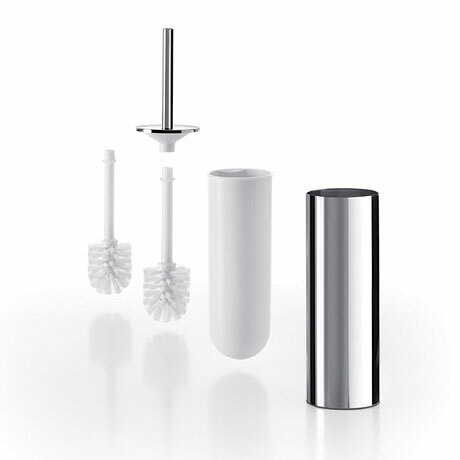 This Toilet Brush & Holder features a removable inner liner which allows easy cleaning and includes one spare brush.